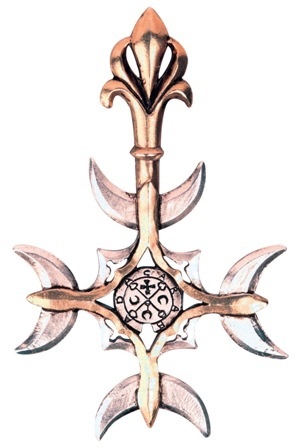 Centered around an arcane symbol from the Grimoire of Goetia, this magickal cross is reputed to bestow upon its wearer the Power of Second Sight. For Intuition. 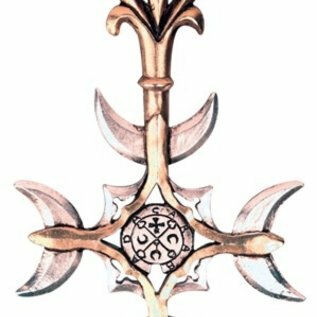 Approximate Size: 23÷4" x 13÷4"
Centered around an arcane symbol from the Grimoire of Goetia, this magickal cross is reputed to bestow upon its wearer the Power of Second Sight. For Intuition. Approximate Size: 2”" x 1”"